Windows aren’t typically an exhilarating home renovation; with windows, you don’t get to geek out over colors or patterns the way you do with tile, wallpaper, furniture and other updates. Yet, when your windows get old enough, it behooves you to devote a portion of your remodel budget to window replacement. Unfortunately, many homeowners are so besotted by other elements of home design that they neglect to notice when their windows are in dire need of attention. You should be on the lookout for the following signs of window disrepair, so you can get the replacement over with and enjoy other, more exciting updates. Sometimes, it’s nice to crack open your windows and feel a light breeze flow through your house — but if you’re feeling a breeze even when your windows are closed, something is wrong. 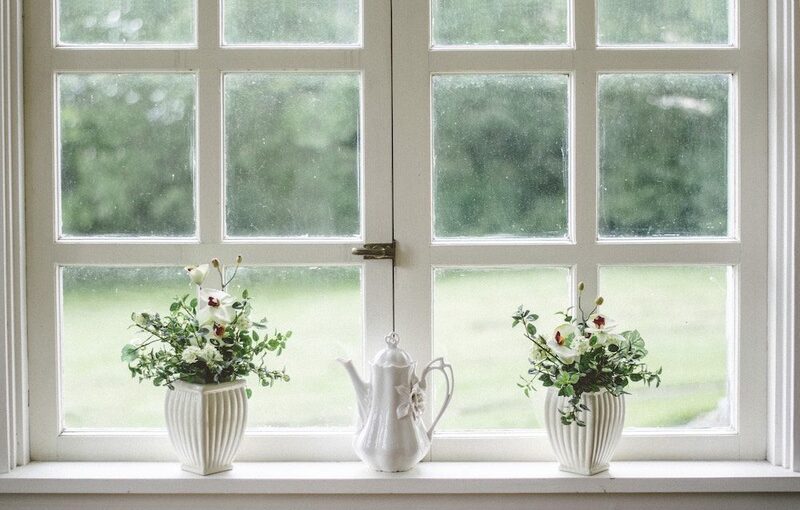 Drafty windows can have all sorts of causes, including poor installation, faulty seals and cracked caulk, but the most common reason for drafts is simply an outdated, energy-inefficient window. Thus, the best solution for draftiness is purchasing state-of-the-art windows and paying for professional installation. Because lots can go wrong with installation — and many of those issues result in drafts — it’s worth your money to pay for professional Riverside window replacement instead of DIY. Drafts aren’t just uncomfortable — they also tend to be expensive. You pay for every ounce of temperature control in your home, so when the outside seeps in, you are bound to pay more to heat or cool. Unfortunately, it doesn’t have to be drafty for your energy bills to rise thanks to your outdated windows; heat and cold transfer can occur through glass or seep in subtly through small cracks. High energy bills shouldn’t be the first and only reason to replace your windows. You might consider trying to repair your windows or perform other energy-saving fixes before jumping into full replacement. This is because brand-new windows aren’t likely to pay you back during your lifetime; the energy savings are just too small. Still, if you have a high energy bill and several other issues on this list, window replacement is likely a smart choice for increasing the value of your home. Windows insulate — and not just against the weather. Windows should be soundproof, which means if you stand quietly next to your windows, you shouldn’t be able to hear much of anything from the outside. If you are regularly startled by a honking horn or a neighbor’s shouting match, it is probably high time you look into installing newer windows with greater soundproofing abilities. Both single-pane and double-pane windows can transfer noise, but the most common reason window soundproofing has failed is improper sealing or poor construction. The latest windows are triple-paned and contain argon or krypton gas, which better insulate against outdoor noise. It’s important to choose these window features if you live in a big, busy city with an abundance of disruptive street noise. Humor me for a few minutes: Walk around your home and try to open and close each window you see. If you struggle to move the window — if you need to exert more force and pressure than you expect or if the window is painted or swollen shut — then that window is not operating as it should. Window operation should be smooth and simple, especially if you like to use your windows often. Thus, the need to apply elbow grease to your windows is a strong indication that replacement is in order. Wood windows, while some of the best for insulation and ideal for look and feel, are easily the worst type of window for operation. Wood requires constant, diligent upkeep, and even then, it swells and shrinks, changing operation. If you live in a humid area, you might opt for a non-wood frame when replacing your windows to reduce this complication. Finally, the most common reason homeowners replace their windows is simple: They don’t like how they look. Unless you live in an immaculately well-preserved historic home, it’s likely that your old windows look old, and you might not like that. It’s a perfectly fair and reasonable choice to replace windows that don’t vibe with your style — just know that this could be an expensive update that could take budget away from other renovation projects around your home.